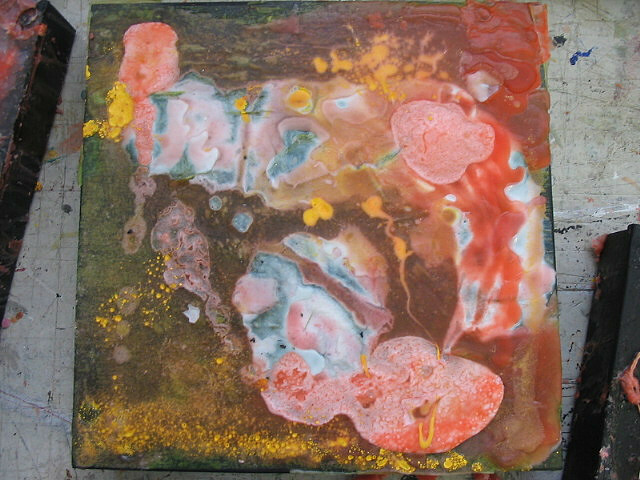 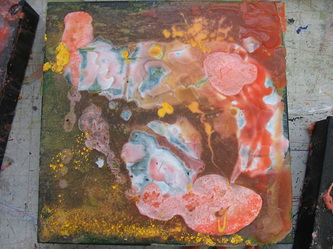 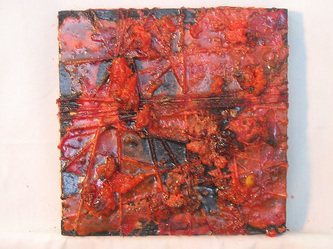 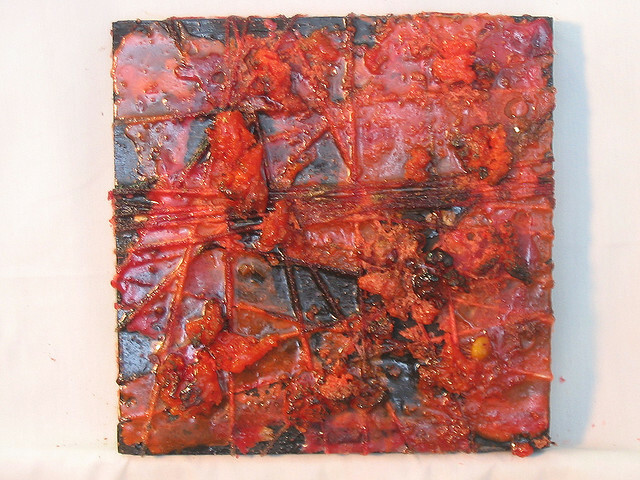 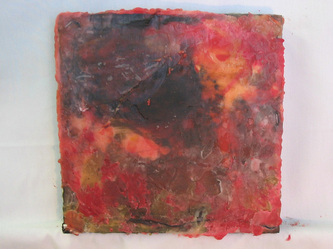 VINGT was created in 2005 as a part of a grant entitled "Encaustic Painting: A Hybrid of Revival and Experimentation". Encaustic painting is one of the oldest recorded methods of creating art, traditionally used with beeswax and pigment. My goal was to find more contemporary and experimental ways of using not only beeswax encaustics, but also the less frequently used paraffin encaustics. 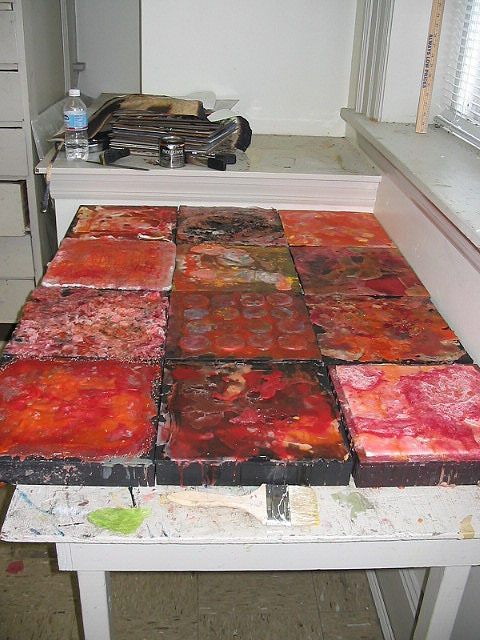 VINGT is comprised of twenty miniature experiments which approach encaustics in 20 different ways, ranging from chemical reactions to meticulous sculpting. 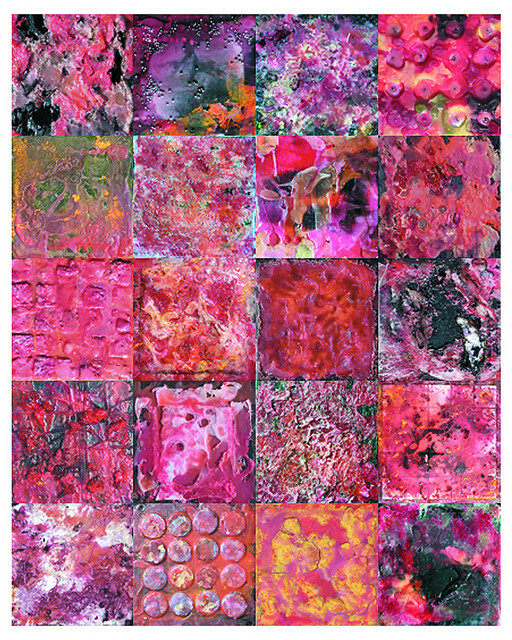 When assembled, the piece shares common colors and textures, but is structured to read like a book, or manual, displaying the versatility of a medium that has previously been thought of as a one-note show. 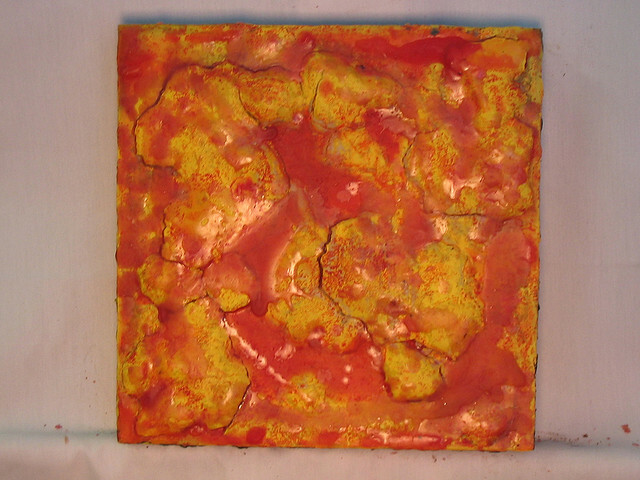 VINGT won multiple awards in shows around the Daytona, FL area, and was purchased by the Lynn Business Center of Stetson University, FL, where it is displayed today.